At 20-years-old a cat named Dexter got a chance at another chapter in life, and boy did he jump at the opportunity! 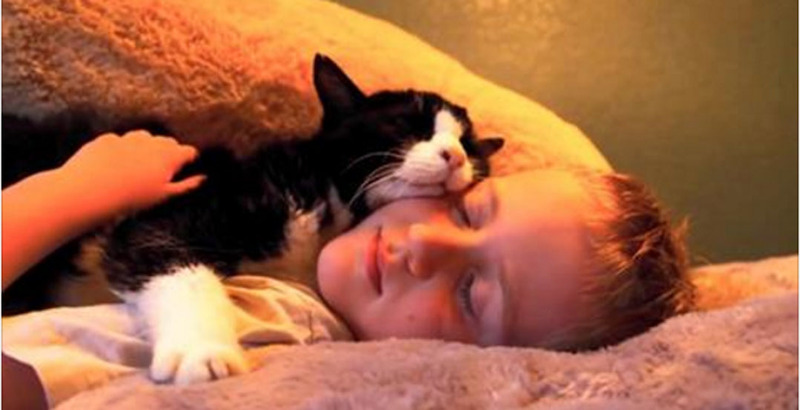 They never expected this senior kitty to have this much love to still give at such an old age. Indeed he did though. Naturally the family was planning to get a young kitten when they went to Best Friends Animal Society. The Williams family includes a young boy and they figured a kitten would be best. But then they say Dexter. The old toothless cat stole their hearts, and despite knowing the time with him would be more limited than a young kittens, they couldn’t resist and decided to give him a new home. Right away the boy, JJ, and Dexter bonded and then developed a very special connection with one another. He got along with the family and the other dogs, quickly becoming the pack leader! Dexter got to live another two years, filled with love and joy, before he ended up passing away. Watch this wonderful video on Dexter and the second chapter on a loving life that he received. Remember, never count out the senior animals when you are looking to adopt! Share this with all of your animal loving friends and family.